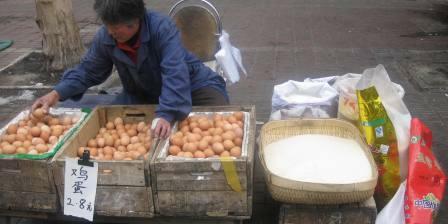 Since spring has arrived, many people are now lining the streets selling their goods like this lady and her eggs. These vendors moved indoors during the winter. It's such a great time to walk down the market streets and see the vendors out selling again. Please remember these workers as they sell to make their living.